Native English speakers who learn French as a second language know that the dreaded “u” and “r” sounds can be extremely difficult to pronounce. 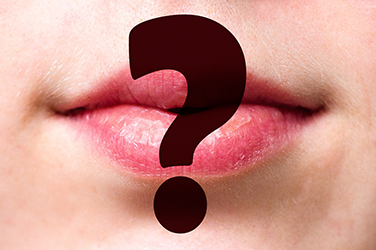 As these phonetic sounds don’t exist in our language, our mouth doesn’t really know how to produce them. So where do we begin? I’m going to share with you some tips and tricks I picked up along the way that will have you talking like “de vrais francophones” in no time! The “u” (or [y] in phonetic transcription) is a sound we come across a lot in French. A lot of past participles for verbs ending in “oir” are spelled with “u.” To name just a few, the past participles of “voir,” “devoir” and “savoir” are “vu,” “dû” and “su.” So “u” is a very important sound to learn. The reason we have difficulty making this sound is that it’s a close front rounded vowel. In English and in French, we have the phonetic sound [i] (pronounced “ee,” as in “eat” or “si”), which is also a close front vowel. However, this vowel is unrounded, so our lips are relaxed when we pronounce the sound, whereas “u” is rounded, so our lips form a circular opening when we pronounce it. Making our mouth and tongue into the shape they’re supposed to be can be tricky for English speakers. My high school history and French teacher (I’m from a very small town) taught me a really cool trick for nailing the pronunciation. You want to start by making your mouth into an “o” shape, as if you’re saying “ou” in French (or “moo” in English), and then making a hole with your lips just big enough for a small straw to go in. With your mouth in this shape, make the sound “ee” (or [i]). Now you’re probably saying “Wow! Did that really just happen?” It did! Congratulations! This may take a bit of practice, but in my experience the results are pretty immediate. For a lot of people, the “r” can be the bane of their existence. I’ll warn you now that mastering this sound can really take a lot of practice and, most importantly, patience. Don’t lose hope if you can’t get it right away! A good way to attempt this sound is to pretend you’re gargling mouthwash. You can even start by actually doing this if it makes it easier for you. As you do this, put a couple of fingers on your throat, and you’ll feel your vocal chords vibrating. Basically, this is what you want to happen whenever you pronounce this sound. Spend a few moments of the day making this sound and getting comfortable with it. You may want to be alone or at least in the comfort of your own home to avoid some weird looks from others. Start trying to incorporate this sound whenever you pronounce the “r,” and with enough practice you’ll be on your way to pronouncing it like a pro! I hope you enjoyed learning about these tips and tricks just as much as I enjoyed sharing them with you. Do you have any of your own? If so, I’d love to read about them in the comments section! Emily Power is a student at Memorial University of Newfoundland, where she’s completing an honours degree in French language and literature. She also works as a bilingual taxpayer service agent for the Canada Revenue Agency. She’s a lover of coffee, camping and animals, especially dogs. Her favourite thing about the Language Portal is that it allows her to quickly and conveniently look up French definitions and translations, whether at home or at work. "R" also has a wide variety of sounds depending on the dialect. SW Ontario French still uses an alveolar trill [r] like the "r" in Spanish.